One of Jessica Chapin’s duties as a neuropsychologist is evaluating elderly individuals for dementia. A question that often comes up during these assessments is how patients are feeling when they get behind the wheel. Sometimes it’s the middle-age sons or daughters of seniors who ask Chapin if their parents are still safe to drive, she says, while other times it’s patients themselves who inquire. One option available to Chapin and other clinicians facing this predicament is to have an occupational therapist (OT) ride along with a senior and rate his or her driving abilities. Chapin says OTs have performed enough of these evaluations, which typically cost about $400 and patients must pay for out of pocket, that they’ve identified specific driving behaviors that are associated with a higher likelihood of having a collision. “Seniors tend to drive a different way that gets them into accidents. [OTs] would notice that the people who would tap on the brake a lot were more likely to have an accident,” Chapin says, as were those who hesitated at intersections. So last year, Chapin assembled a team that set out to design and engineer an in-car device that could help care providers assess whether seniors are fit to be on the road, and let their loved ones know when and where they’re driving. On Thursday, Chapin pitched her Milwaukee-based startup, Drive Assured, and the plug-in monitor it’s developing, to an audience of investors, entrepreneurs, and other members of Wisconsin’s early-stage business community. Drive Assured was one of 10 startups that presented as part of an event marking the end of the latest gBETA program. gBETA is a free, six-week accelerator for startups affiliated with colleges and universities in the Badger State and, starting later this year, Minnesota. 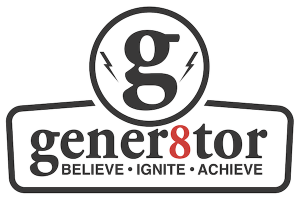 The programs are managed by Gener8tor, a Wisconsin-based startup accelerator. Launched in July 2015, gBETA now counts 24 graduates across five classes (the two most recent sessions, which took place in Milwaukee and Madison, WI, ran simultaneously). This fall, gBETA will debut in two metropolitan areas: Minneapolis/St. Paul and Beloit, WI. The Beloit program was revealed during last week’s event, while Gener8tor announced it was expanding into Minnesota in June. Crossing Wisconsin’s state borders makes sense, given that the Twin Cities are home to the University of Minnesota, a burgeoning high-tech scene, and businesses like 3M, General Mills, Medtronic, and Target. Beloit, meanwhile, might be a surprising choice to some. As of 2010, it was Wisconsin’s 19th largest city, with a population of about 37,000. However, some observers of the state’s technology scene see potential in Beloit. Chapin, of Drive Assured, says that participating in gBETA helped her startup forge lots of new connections. She and other members of her four-person team met leaders at other companies, including Milwaukee-based OnKol, which makes a box-shaped device that’s aimed at older adults and ties together myriad home and health monitoring devices. Drive Assured also got an introduction to the University of Wisconsin-Madison’s Law and Entrepreneurship Clinic, which advises entrepreneurs on incorporating companies, intellectual property, and other legal matters. Drive Assured intends to start testing its monitoring device later this year, Chapin says. The startup plans to recruit about 20 “beta” users, who she says will double as its first paying customers. The company hasn’t received any outside investment up to this point, and plans to continue bootstrapping, she says. One thing Drive Assured does need in the short term, however, is to hire a software engineer who can help with getting a prototype ready for testing.